With continued uncertainty surrounding Brexit, the managing director of a Shropshire shipping firm has warned that a ‘no-deal’ result would prove damaging to business. 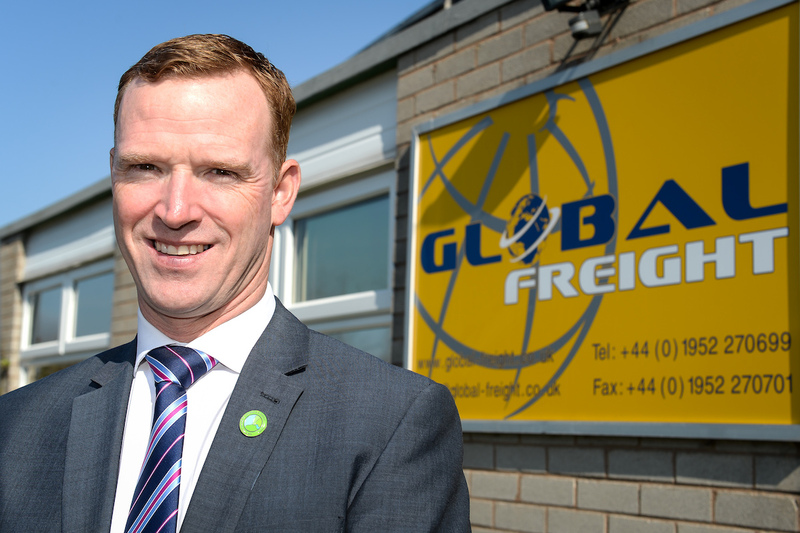 Anton Gunter, of Telford-based Global Freight, which supports companies with their overseas trade, said the uncertainty facing those who ship goods between the UK and Europe was greater than ever. With just weeks to go before the March 29 exit date, Mr Gunter advised businesses to prepare for a hard Brexit. He said: “Whilst I remain optimistic that an acceptable deal will be struck, all the latest indications are that the UK will either exit the EU without a deal or steps will be taken to delay the process. I can’t see how either of these outcomes will help restore any kind of confidence among businesses who are patiently waiting to be given some kind of indication of what a post-Brexit landscape might look like. Mr Gunter described the recent parliamentary discussions as a ‘pantomime’ performance and urged the Government to start providing meaningful answers. He said: “The rejection of Theresa May’s deal and the subsequent efforts to remove her from office has only served to heighten the level of uncertainty which businesses now face. We all knew the deal on the table was not going to get through. It was just a pantomime. Business owners are still just as confused, if not more so, and what they need is answers. Mr Gunter added he was optimistic about being able to assist customers no matter what scenario plays out over the coming weeks, but advised companies who were importing and exporting regularly to seek advice and support from people who knew what they were doing particularly in relation to customs tariffs. He highlighted the uncertainty facing many businesses was how Brexit would impact on the value of the British pound, duty charges and the cost of importing and exporting goods abroad.